1. 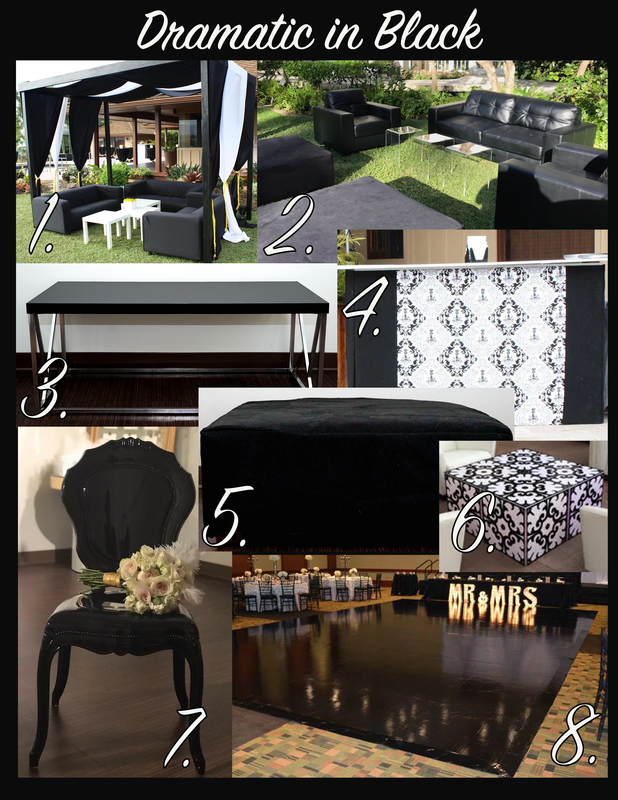 Create a grand entrance for your Event with our Dark Wood Cabana, available with black or white drapings. 2. Pair our Black Rico Sofa and Black Rico Club Chair for a sophisticated, yet comfortable, VIP area. 3. Our bold and contemporary black Kay Coffee Table is the perfect complement to any furniture pairing. 4. Treat your Guests to a specialty cocktail at our Black & White Bar, which adds character to any Event. 5. Incorporate our black Hugo Ottoman as extra seating, or use it as an extra large coffee table for a more modern feel. 6. Light up your Event with our versatile Lighted Vintage Cubes, which can be used as end tables, display pedestals, or stand-alone decor pieces. 7. Add a distinctive touch of elegance to your Event with our sleek Noir Chair. 8. 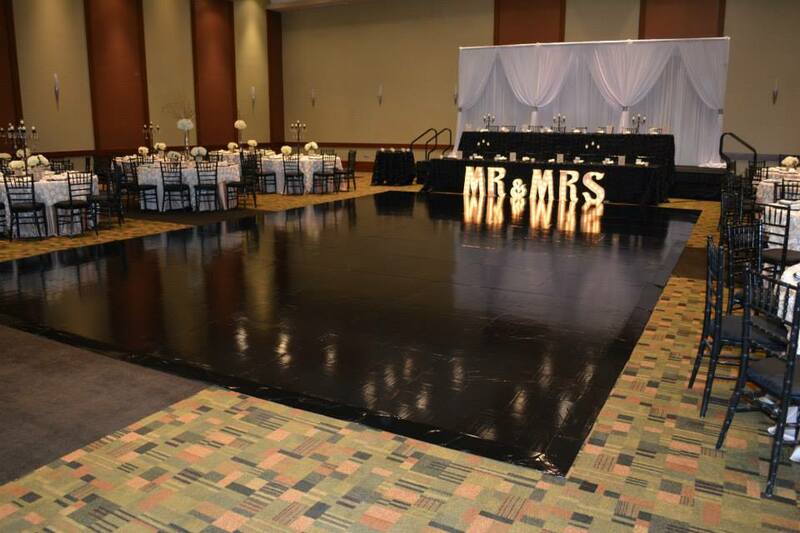 Dance the night away on our simple, yet sleek, Black Laminate Dance Floor. Why buy special Event decor just to box everything up the rest of the year? Save yourself storage and time by renting with EventAccents.